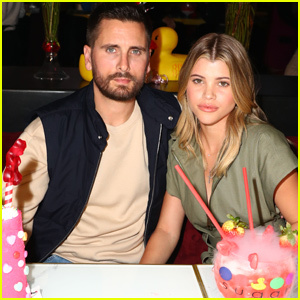 Sofia Richie & Scott Disick Have a Weekend Date Night | Scott Disick, Sofia Richie | Just Jared Jr.
Sofia Richie pushes her sunglasses up while leaving Lovi’s restaurant on Sunday (April 14) in Calabasas, Calif. The 20-year-old model stopped by the restaurant to pick up a lunch order to-go. The day before, Sofia joined her boyfriend Scott Disick for a froyo date night in Malibu.